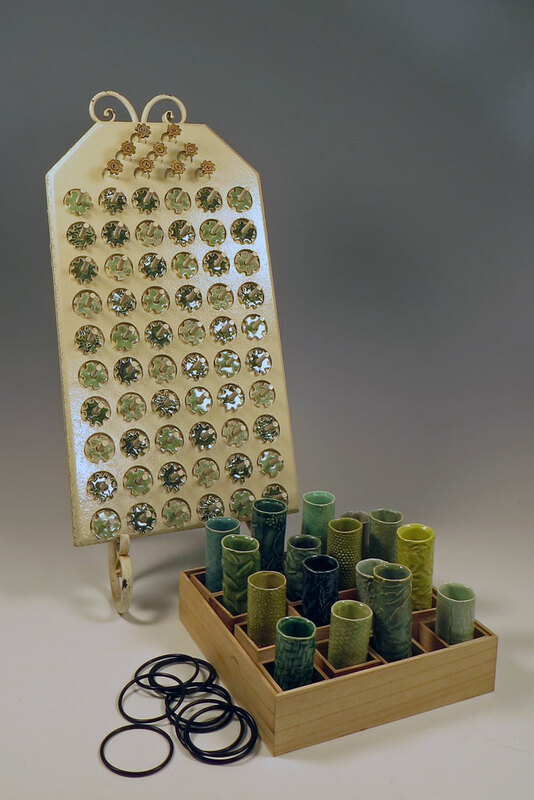 Here are two more of the seven sculptural ceramic games going into my upcoming solo show. For a fun contrast to the others, they come up off the flat playing surface, create fusions of well-known games and open the mind to further possibilities. “Toss It Off” is a combination of Ring Toss and Beer Pong, while “Gear Train” is a steampunky variation of “Connect4” and similar. Let’s see how they work. 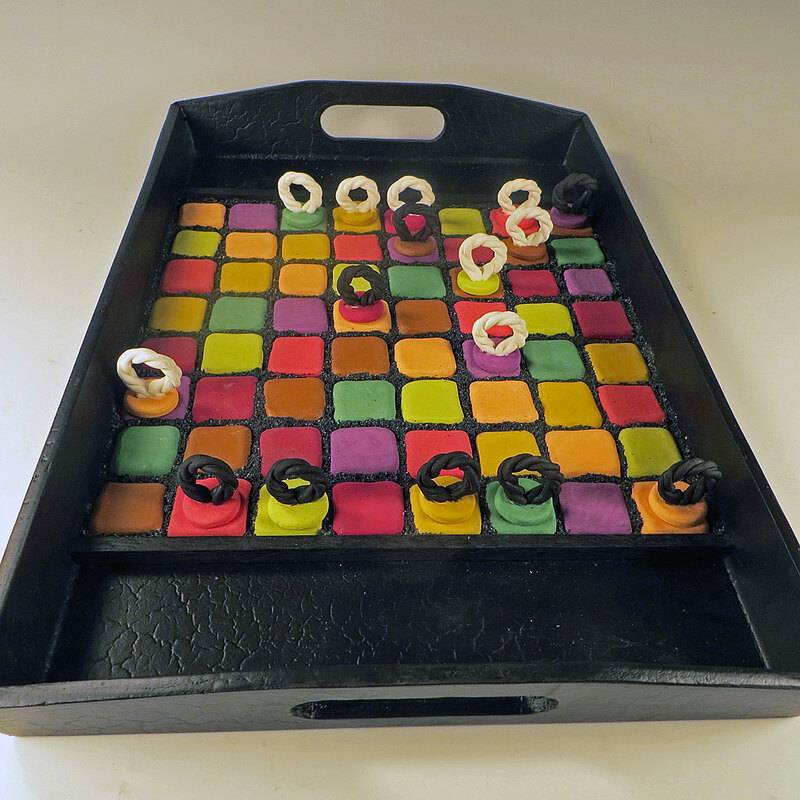 We’re continuing our explorations of the artworks that will comprise my upcoming solo show, “Games People Play,” with this take on the venerable boardgame family internationally known as Draughts. (That’s Checkers to Americans.) 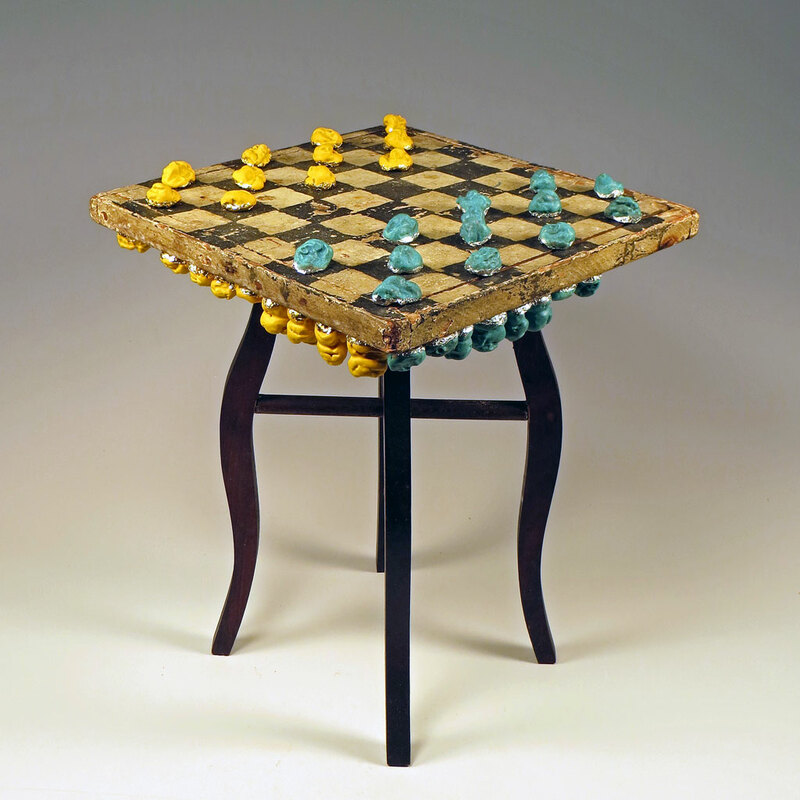 In this version, which I titled Gummo, the ceramic playing pieces are fashioned to resemble used chewing gum and, just like gum, they can cling to the underside of the checkerboard when not in play. Whaaaaat? How? Why? 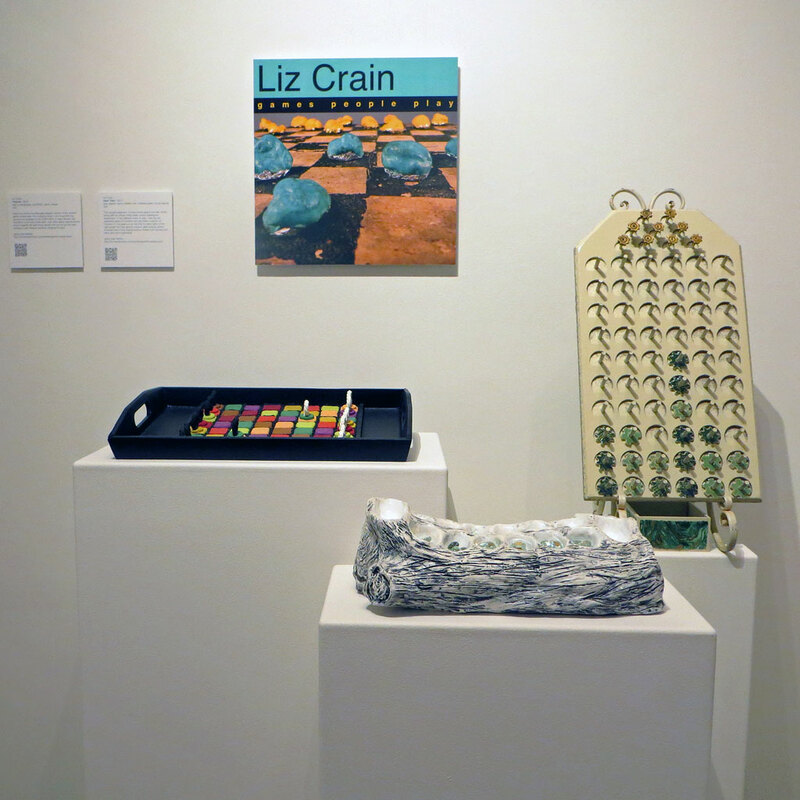 Here’s the second installment exploring the series of ceramic works I have created in the past nine months: sculptural but playable games. Let’s take a closer look at “Color Theory” which challenges players to move across an 8-colored grid based on what color their opponent just landed on. Let me formally introduce you to the first installment of a series that I’ve been creating for my upcoming (March 2018) solo show at Roscoe Ceramic Gallery in Oakland, CA. 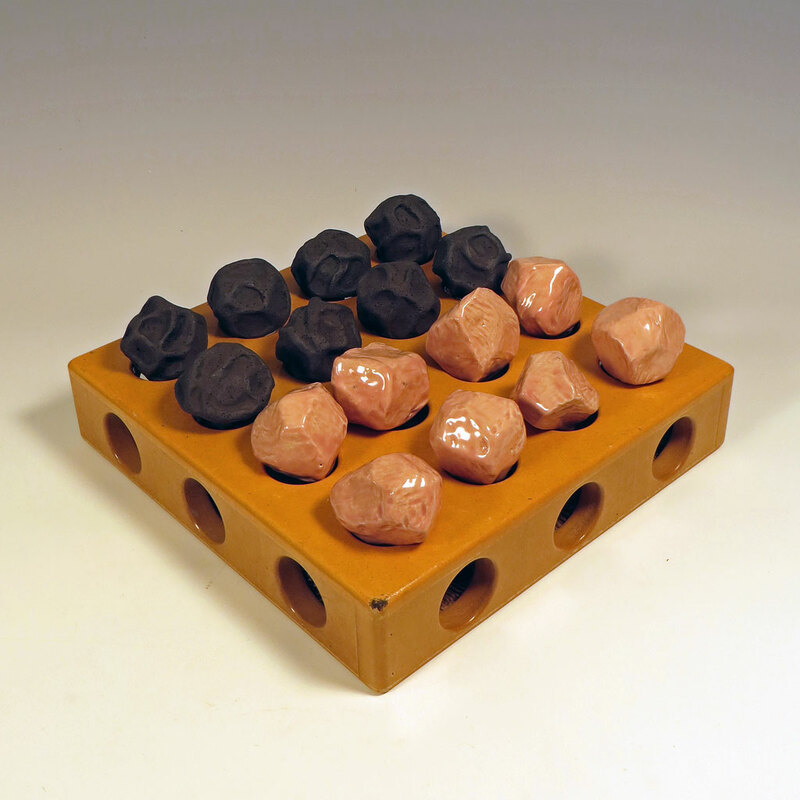 With a working title of “Games People Play,” the show’s all about seven artfully intriguing and fully playable games which incorporate my hand built ceramics in major ways. I fashioned the playing pieces for all of them, and sometimes I created the playing field as well. Found Objects abound. Let’s look at the Big Idea for this Exhibit and then at the first game I made. We’ll explore the other six over the month of February, providing I finish the last two! Here we have Part Two of the Up-Close and Personal Virtual Studio Tour. (Read Part One, if you like.) We take a look at the East Wall and its groaning shelves, tubs and binders. 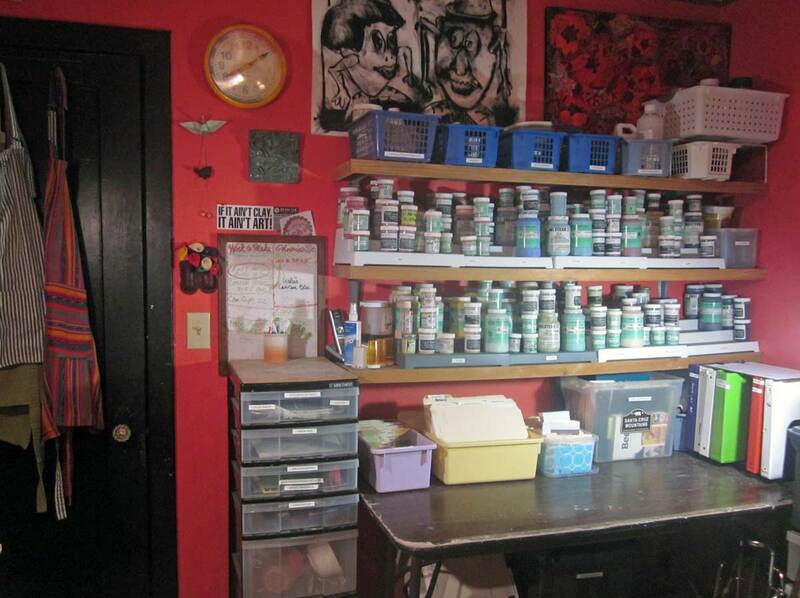 During my Santa Cruz Open Studios Art Tour weekends, visitors can peek into my studio, but not enter it. From the doorway (on the left in this photo) they really cannot see this workhorse of a wall. So here it is, from my daily vantage point. Art Openings. I used to think they were about The Art. Nah. 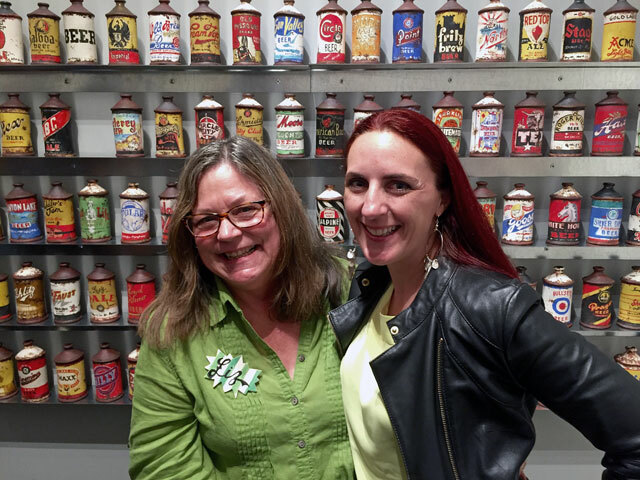 They’re about the people who come to see the art – and just possibly the artists.